Champion jockey AP McCoy has paid tribute to former Champion Hurdle winner Binocular, who has retired with a heart problem. The nine-year-old, trained by Nicky Henderson, won 11 of his 22 races. 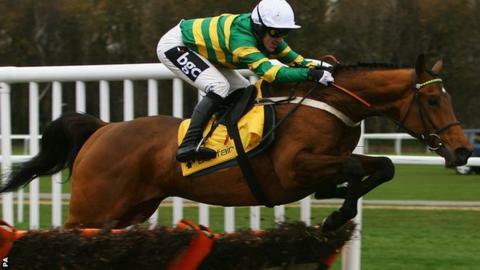 McCoy rode Binocular in all but two of his outings, including the 2010 Champion Hurdle victory at Cheltenham. "He was the fastest horse to get from one side of a hurdle to the other that I've ever ridden. He deserves a happy retirement," said McCoy. The 2013 Champion Hurdle, in which the JP McManus-owned horse trailed in 28 lengths behind winner Hurricane Fly, proved to be the final race of Binocular's career. "He has been retired - he had a little heart complaint," said McManus' racing manager Frank Berry.